I am finding it really hard to post today, as Barcelona FC has won the Champions League (Soccer Final Cup) against Arsenal, and I can only hear horns blowing in the street and people shouting...God, I wish I had a picture of Ronaldinho, Eto or Belletti to show you. I know that for most of you who may not be soccer fans this doesn´t really mean much but at least you would have had a great time watching. I couldn´t find anything more appropiate than the statue of Columbus a notable symbol of Barcelona, showing the way with pride. (My admiration goes to Arsenal FC, a powerful and elegant opponent). 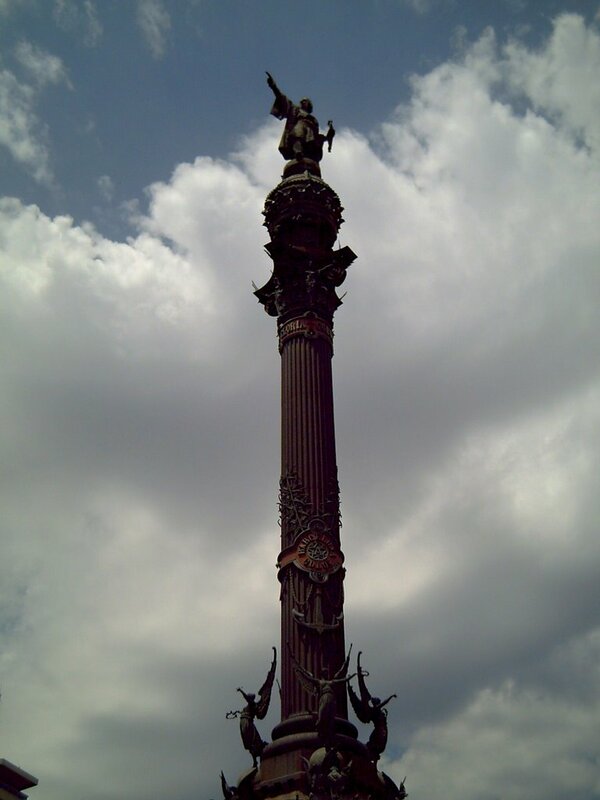 Once it is all said, we shouldn´t forget Columbus Monument: A 60m high column designed by Gaietà Buigas i Monravà for the Universal exhibition of 1888 located at Plaça de la Porta de Pau facing Port Vell. 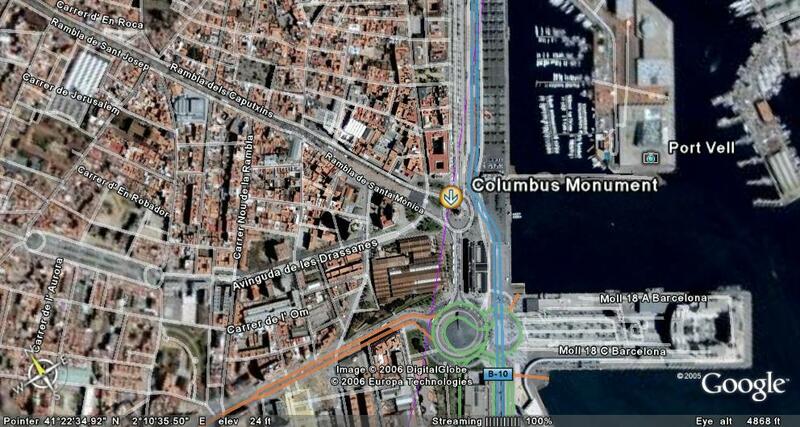 In case you decide to take the lift, you will enjoy a panoramic view of Barcelona Port and Las Ramblas in the back. Wow, now they start with fire crackers! It is going to be a long night. er..I dont enjoy soccer but am sure enjoying the details of this monument ! Nice shot ! Lovely photo...but wanted to let you know here in Chicago lots of us stopped work in the middle of the day to cheer on Barca! Thanks Fotoaddict, I am sure the photo is more interesting for a photoblog than my sports preferences, hahaha. Thanks for your support, it is so nice to hear that all of you in Chicago had a great time celebrating Barca's victory. Congratulations on Barca. Ofcourse with a Dutch trainer (Rijkaart) and the pupil of Cruyff (also Dutch) we followed the match with a lot of interest. What a night! What a suspense. Like you said, Arsenal proved to be a worthy opponent! Thanks Dutchie, we have been always thankful to our Dutch players and trainers, they have done a lot for Barça. Yes, it was like a good thriller movie, which made everything even more exciting. We were about to lose and then Rijkaard put Larson, Iniesta and the new born hero Belletti who saved our...you know. Wow, how tall is that? ?